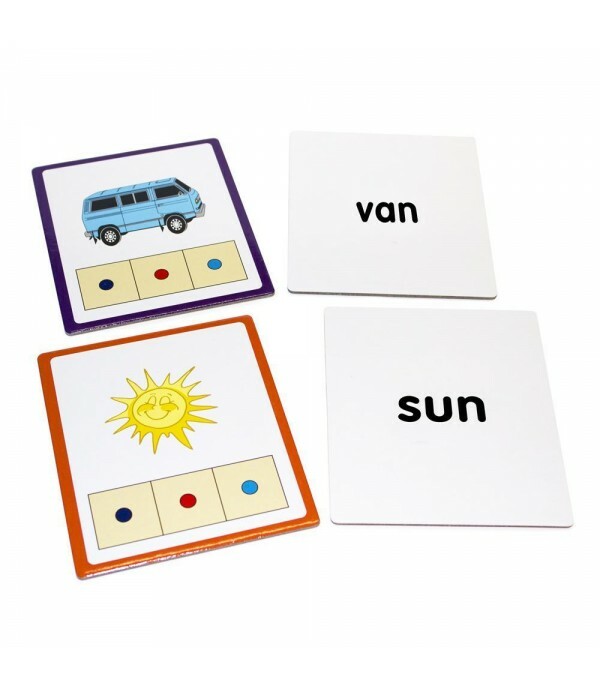 Set of 48 CVC cards with picture and color guides for building 3 letter CVC words with CVC Tri-Blocks® Tub. 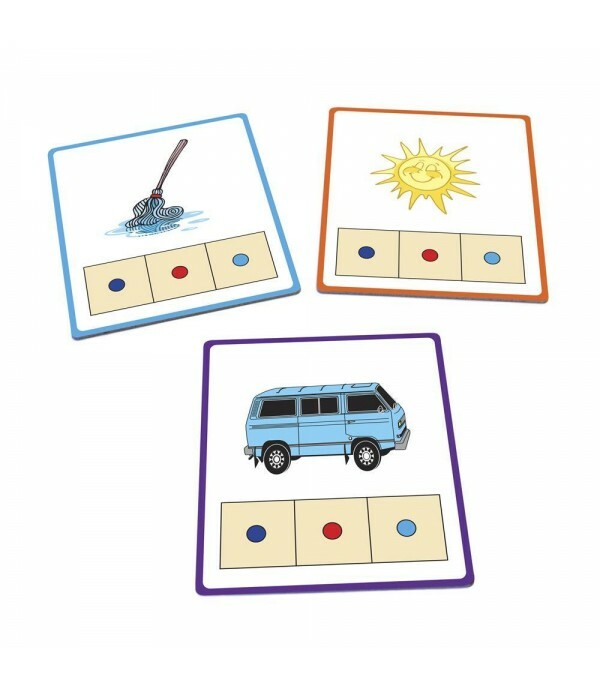 Children follow the progression as they learn to sound out and build words. 3 levels to follow: blue, orange, violet. 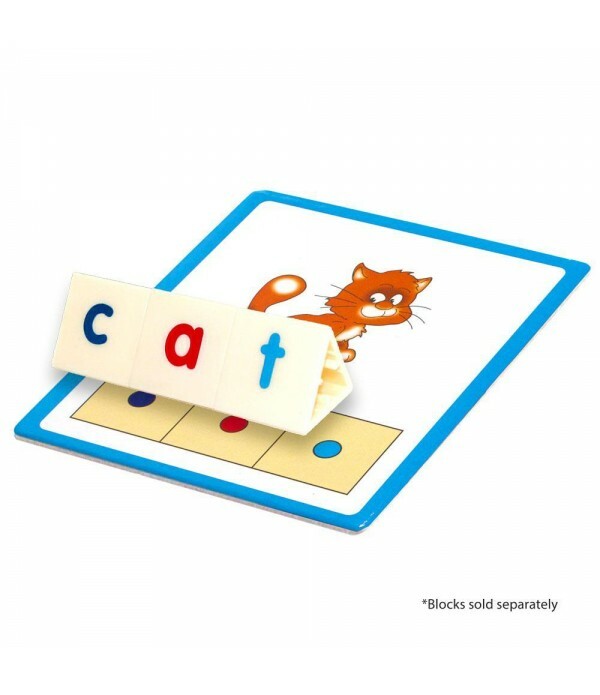 Teach phonemic awareness, synthetic phonics, spelling. 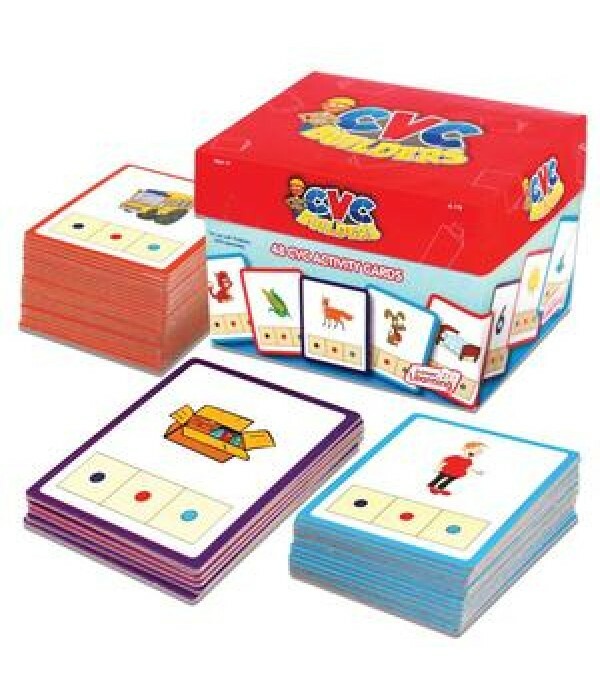 Cards are self-chec..
Set of 48 CVC cards with picture and color guides for building 3 letter CVC words with CVC Tri-Blocks® Tub. Children follow the progression as they learn to sound out and build words. 3 levels to follow: blue, orange, violet. Teach phonemic awareness, synthetic phonics, spelling. Cards are self-checking with answers on back. 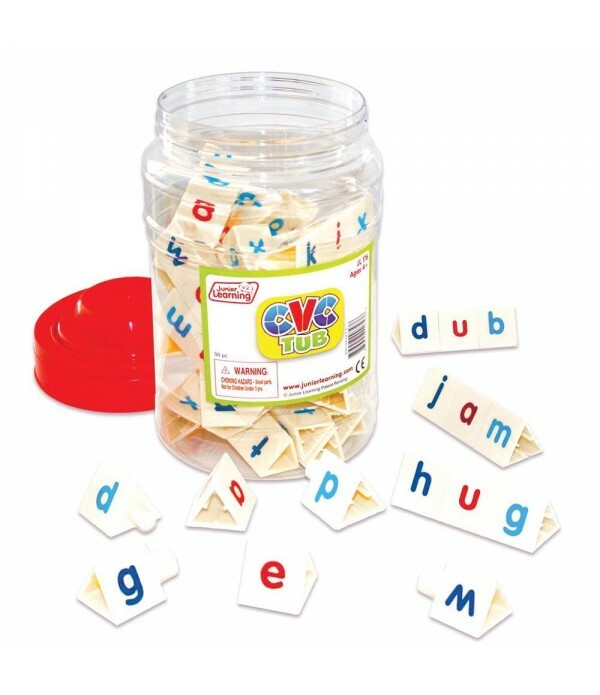 CVC Tri-Blocks® Tub sold separately.